Ivy is the lovely daughter of Joy and Davino. She is so much like her mama full of complete joy, thus her nickname Ivy Smiley suits her so well. We love how she has so much love inside her and the way it comes out through her expressions and tender kisses. She is a very athletic girl and loves to run and jump. She is also quite the snuggle bug, and loves to cuddle close for a nap. Ivy is a joy to have around, she smiles when she is happy, and enjoys her fun and games. Ivy is beautiful inside and out. 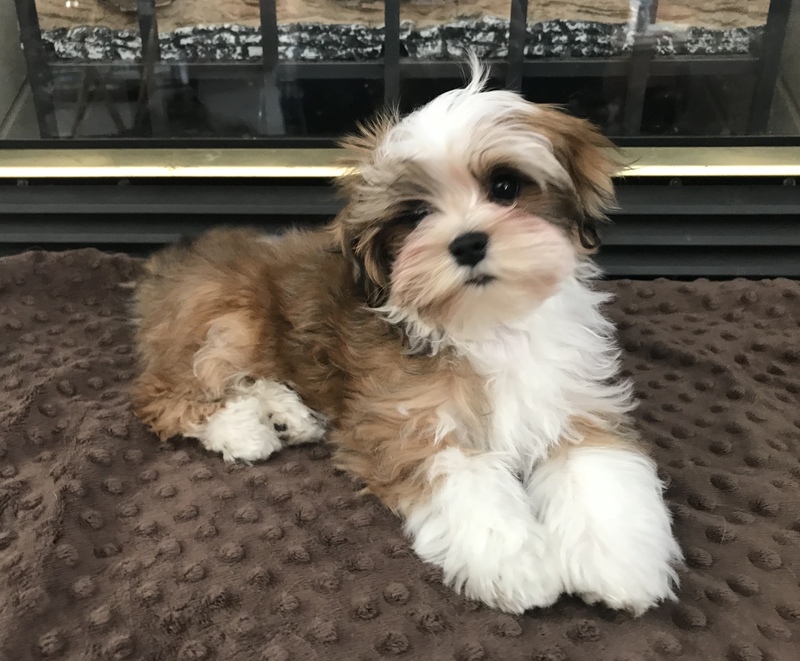 Ivy, like her mama Joy, has an uncanning ability to read the emotions and physical status of her humans and is able to detect several different physical ailaments as well as emotional status. She is very attentive to her humans, but carries a confidence and air of elegance about her everywhere she goes. Ivy is a very moderate girl in all aspects, a sturdy moderate size, an even temperament but full of life and fun. Ivy is lovely to watch and such a sweetheart too. 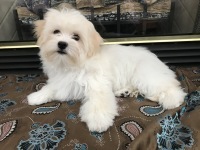 Ivy is the only pure white Havanese we have ever produced. We call her our little marshmallow. We adore her and are please she will be carrying on our genetic lines as Trista's great grand-daughter. Now we are so excited to add her daughter Lacey to our family and breeding program. Ivy did excellent in the show ring and quickly earned her Championship with limited showing. She loved the ring and had a lot of fun in the adventure. Now we are going to work with her on new skills, training in obedience, and possibly becoming a certified therapy dog. Denali is the daughter of our sweet Pearl and Zuri. Not only does she have a fabulous red sable coat, she has all the sweetness of her mama and the easy going of her dad. 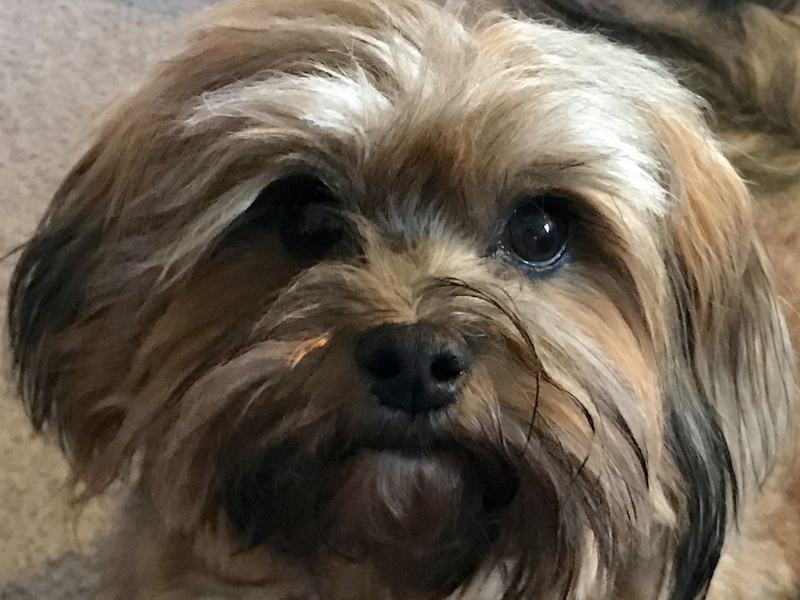 Denali is a sweet and adorable little girl who loves to snuggle and give kisses and is often referred to as 'teddy bear' since she looks like a teddy bear and is just as sweet and snuggly. She is easy going and loves to play. While she may not be top dog, she certainly isn't going to let anyone take advantage of her, as she will stand up for her right to lay in the bed, chew the toy etc. I'd say she happily resides in the middle of the pack, making herself comfy anywhere close to my side or happily on anyones lap. If you call Denali-olli she comes joyfully running to give you kisses. Denali is my sweet baby girl who is ever by my side. She is the perfect size for toting around and gets the pleasure often. Just like her mama Pearl loves to go bye bye, Denali loves to go with me just about anywhere. While her name represent greatness, she is small in size but big in love. 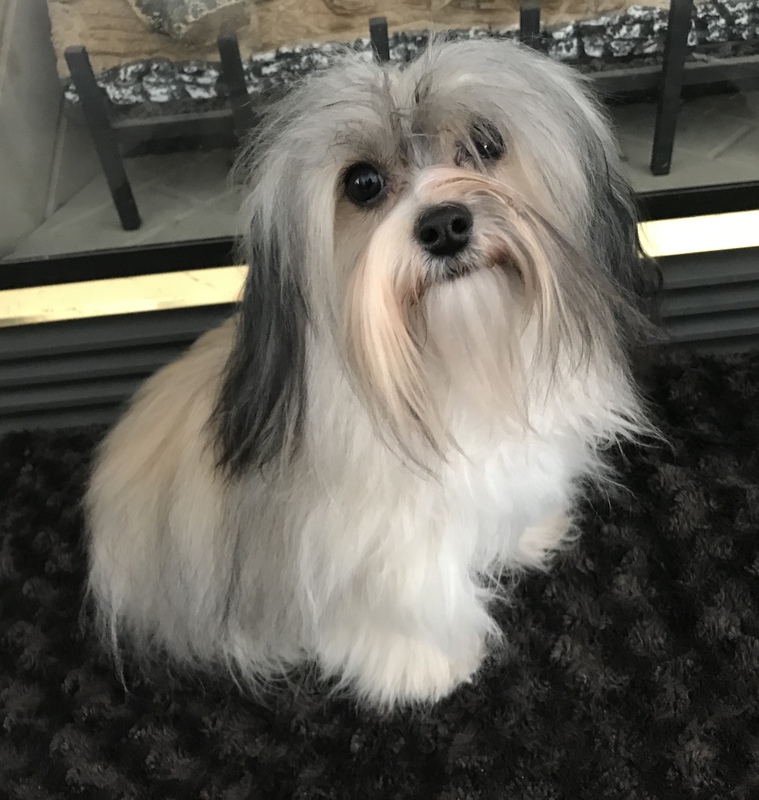 Denali is considering being a service dog as she is very calm and happy, small and easy to go around, and will very gently let me know before an asthma attack starts or if my heart is beating irregular. She is senstiive and gentle in nature, her sweet nature is more than charming and she is dearly attentive and always by my side yet is never intrusive . Meekah is the granddaughter of Trista, Daughter of Queen Anne and Drew. She is a very mild natured. She is not extreme in any manner. She is non-demanding and easy going. She is very happy and smiles as she is excited. Being regal like her mama Queen Anne, there are no silly nicknames for Meekah, she joyfully comes to Meekah Baby, but would not subject herself to any inferior name, that is for sure. She is very thoughtful, smart and attentive, there is no need to lower herself to names below her high calling. River is the daughter of Mercy and Mateo. She is a very sweet and sassy girl, which we love! She is small in size but huge in personality! 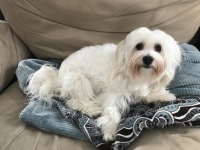 She is a real love and snuggle bug, she loves to play, and loves to shred paper (a true Havanese trait). She can be a little stinker, but then, she is still a puppy! We affectionately refer to her as River Rue. We are very happy to have her as part of our family and are hoping to make her a part of our breeding program. 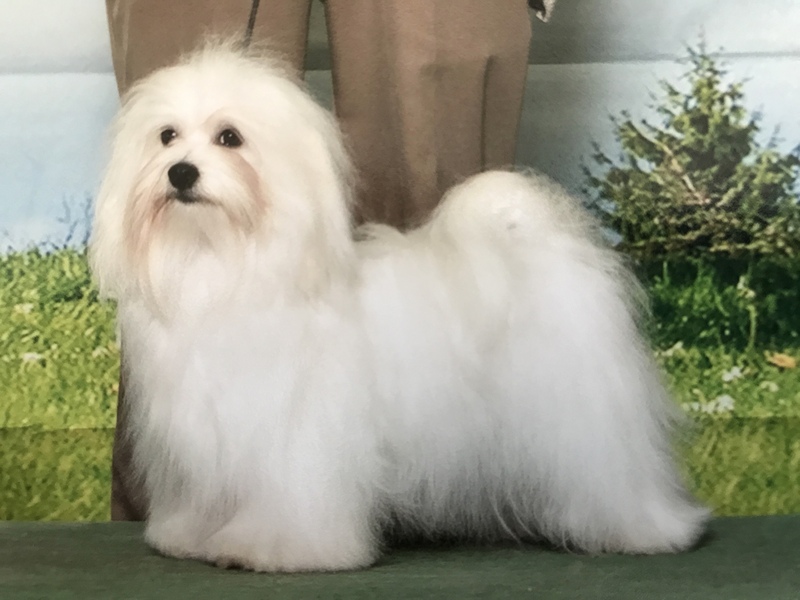 We are super excited, as River's pedigree combines both our Trista line and our Melody line, creating a very nice combination of dogs including Trista, Harley, Queen Anne, Melody, Ruger and Drew. What a great lineup! We adore how the genes came together to create this special little girl! 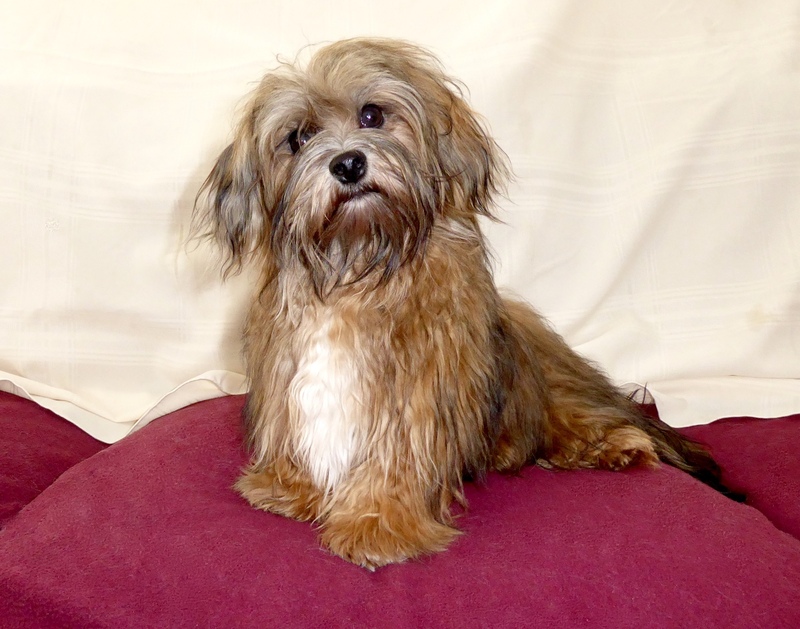 Sweet, sassy, cute and such a little character that makes us smile daily with lots of snuggle and cuddles too. 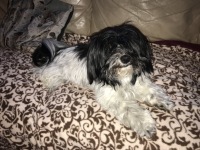 As she matures she is developing the very attentive nature of her mama Mercy and is showing great natural instincts and signs of being a therapy or service dog. What's not to love???? ​River is going to mature on the smaller side, around 7 pounds. We are very happy that on River's first birthday we measured her and she has passed the 8.5" minimum height of the AKC standard. She may be tiny, but she is mighty! She takes on the world with leaps and bounds and yet is a very sweet, gentle and snuggly little girl. We adore her. She will not be big enough to be competitive in the show ring, however, she is an excellent example of the breed and has goregeous movement and a big personality. When she is two she will complete her health testing and hopefully become part of our breeding program. River will begin training for therapy dog this summer. Lacey is our sweet little girl from our Ivy x Jag litter. We are super excited about adding her to our family. This breeding was a LONG time in the making and we are thrilled to add our 5th generation! 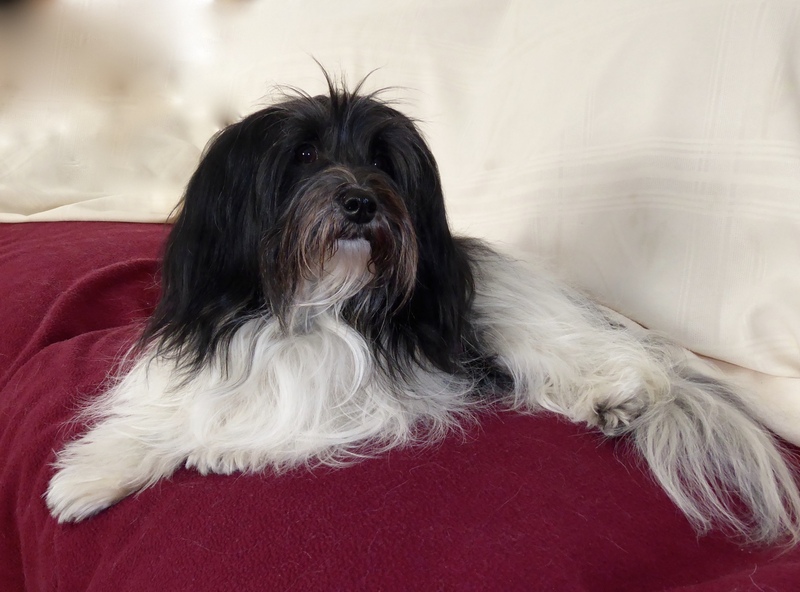 Her pedigree includes great dogs like Trista, Queen Anne, Joy, Ivy, Melody, Harley, Davino and Zuri. From a litter of 7 beautiful puppies, Lacy is the best of the best. How exciting! 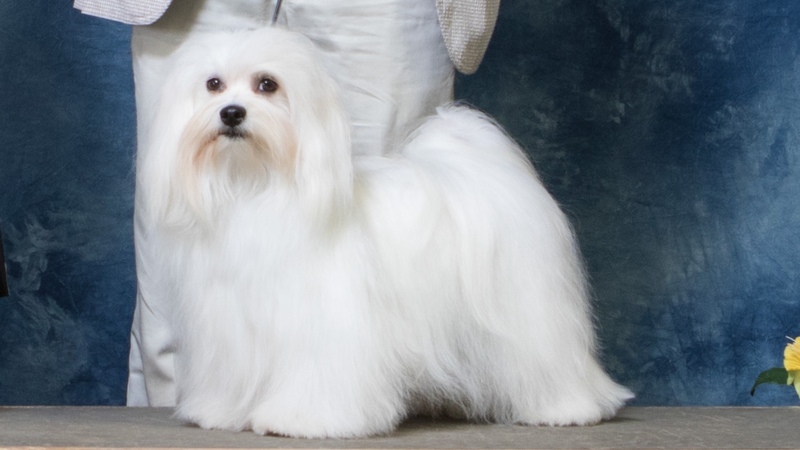 We chose her registered name in accordance with her rich heritage, going back to her great grandma, our lovely Queen Anne (CH Selah Old World Elegance), touching back on the 'elegance' and Lacey means joyful, which touches also on her grandma Joy. Lacey is SUPER sweet, exceptionally smart and a bit silly. We adore how gentle her spirit is at even such a young age. Her eyes are so expressive and her spirit is just so kind and loving and attentive and her pure desire seems to make others happy. We affectionately call her Lacey Lou Who, as the Who's down in Whoville would say. We adore her and are thankful to be able to add her to our family and hope she will be joining our beeding program in a couple years. 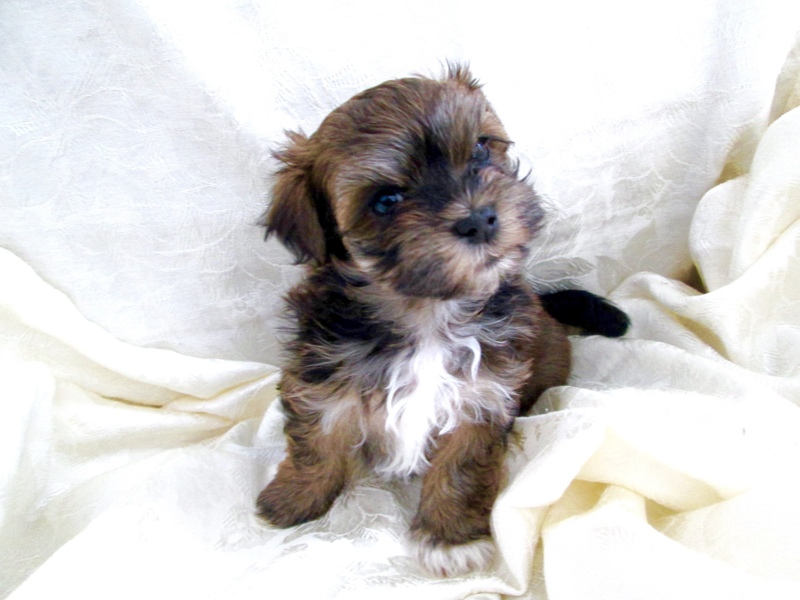 Lacey is very much like her mama Ivy and is going to mature to be about 10 pounds, mid standard. ​We will begin therapy dog training with Lacey this summer. Nahanni is the daughter of our sweet Denali and Mateo. This is the 5th generation from Jewel's line and we are sooooo excited. She has inherited the sweet and silly temperament that Jewels line is so well known for. She is small but mighty, holds her own, yet is so very sweet natured and simply snuggable. We are excited that we were able to do a 'line beeding' yet were also able to check genetic diversity and assure this breeding, by DNA, is an 'outcross' breeding and what they would call a 'perfect 10'. The very best of both worlds! Breeding is a combination of art and science and I LOVE how this sweet little girl turned out. Nahanni is very sweet, a bit silly and a bit of a tomboy, just like her mama.... going all the way back to great great grandma Jewel. :) We are thrilled to welcome Jewel's newest descendent and Denali's daughter. Nahanni's litter name was Fire, and she is often referred to as Nahanni Fire or Nahanni-anni, everyone has to have an expanded name around our home. Just one name isn't quite enough. 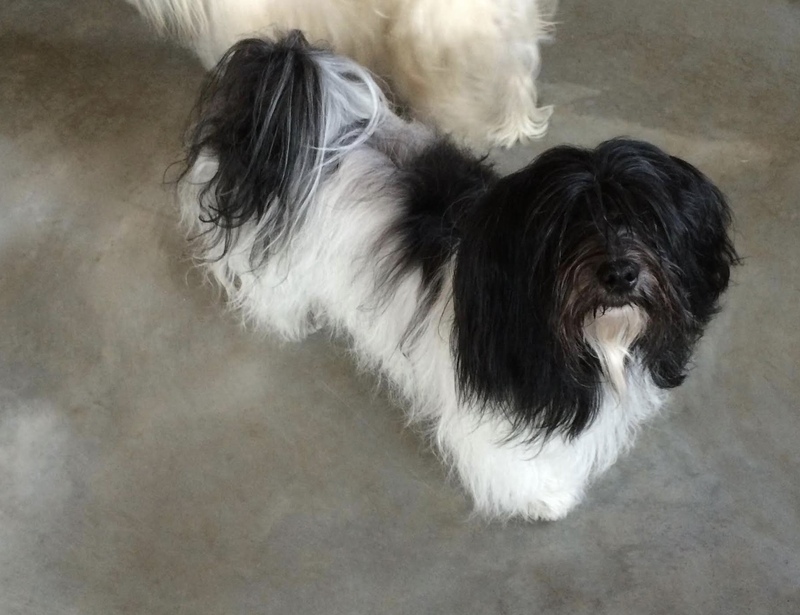 Nahanni will mature to be on the smaller side, around 7-8 pounds. ​Nahanni will begin therapy dog training this summer.